b. 25 Jan. 1770, 2nd but 1st surv. s. of Francis Burdett of Castle Hill, Mdx. by Eleanor, da. and coh. of William Jones of Ramsbury. educ. Westminster 1778-86; Christ Church, Oxf. 1785. m. 5 Aug. 1793, Sophia, da. and coh. of Thomas Coutts, banker, of London, 1s. 5da. suc. fa. 1794; gdfa. Sir Robert Burdett†, 4th Bt., of Foremark as 5th Bt. 13 Feb. 1797; aunt Lady Jones to Ramsbury and took name of Jones by royal lic. 5 Apr. 1800 (but only briefly affected it). In 1796 he accepted a seat for Boroughbridge on the Newcastle interest, procured through the agency of his father-in-law at a cost of £4,000. He told Stevens that he was bent on a course of truculent independence and, after making an unexplained visit to Ireland in October, he began to vote regularly against Pitt, for whom he had conceived a deep and enduring hatred. Prophesying that public expression of his thoughts would lead almost certainly to a rupture with his family and possibly to ‘an indictment for high treason or the guillotine’, he deferred his maiden speech until after the death of his grandfather, which guaranteed his wealth and independence and made him less reluctant ‘in speaking his Jacobinical sentiments’.2 He made his debut by seconding Fox’s motion on Ireland, 23 Mar. 1797, when he extolled the suspected traitor Arthur O’Connor and appeared to call for the impeachment of Pitt. In the House, where the Foxite secession gave him an opportunity to make his presence felt, Burdett pursued his onslaught on repression and corruption and delineated some of the characteristic features of his radicalism. In attacks on the triple assessment, 3 Jan., and the land tax redemption bill, 30 May 1798, he argued that heavy taxes on the wealthy, levied to sustain corruption, injured the labouring poor, and revealed his essentially agrarian, traditional outlook by appealing to the country gentlemen ‘to stand forward at length in support of their country’. On the address, 20 Nov. 1798, he deplored the language of ‘eternal war’, which he consistently condemned as the instrument of counter-revolution abroad and the excuse for reaction at home. On several occasions he denounced Pitt’s treatment of Ireland and he opposed the Union. In speeches on the address and the high price of food, 11 and 26 Nov. 1800, Burdett linked social and economic distress with the continuance of war and the proliferation of corruption. He spoke warmly of Fox when attacking the Irish martial law bill, 16 Mar. 1801, protested violently against the suspension of habeas corpus, 14 Apr., opposed the exclusion of Horne Tooke from the House in May and denounced the indemnity bill, 27 May and 5 June. On 13 Nov. 1801 he gave notice of a motion for retrospective inquiry into Pitt’s tenure of power, which Fox and Tierney were willing to support,6 but he did not bring it on until 12 Apr. 1802, when it received little verbal backing and secured only 39 votes against 246. He supported the Prince of Wales’s financial claims, 31 Mar. 1802. While Burdett, who visited France in the summer of 1802 but refused to be presented to Buonaparte, did not stress reform during the Middlesex campaign, his speeches at Hackney and Moorfields, 8 Oct. and 17 Nov., suggest that this was the cause which he was most keen to promote. He sent £100 through his brother to Lemaitre for Despard’s defence, but was apprehensive at the thought of his name being publicized in the course of the trial. He accepted the address, 24 Nov. 1802, in so far as it promised a continuance of peace, but remonstrated against the bellicosity of the Grenvillites and the covert aggressiveness of ministers. On 9 Dec. he explained that he was averse not to intelligent and judicious interference in Europe, but to ‘involving the country wantonly and unnecessarily in an expenditure of blood and treasure, and throwing dust in the eyes of the people to prevent them from seeing the real causes of hostilities’. He scorned the Grenvillites’ call for Pitt’s return to power, criticized the expense of the peace establishment and demanded fundamental reforms to forge a united nation. Burdett, who entertained Fox and a number of leading Whigs in March 1803, voted for inquiry into the Prince of Wales’s debts, 4 Mar., against the Nottingham election bill, 3 May, and in the minority on the renewal of war, 24 May 1803. He was one of the few public figures who resisted the rising tide of loyalist sentiment. On the introduction of the defence bill, 18 July, he argued that ‘if ministers were really in earnest, and wished on this occasion to conciliate the hearts and wishes of the people, they should begin by repealing all the oppressive and unconstitutional Acts of their predecessors’. At the Crown and Anchor, 29 July, he condemned the war, called for reform, and seemed to suggest that men should not fight in defence of the country until their grievances were redressed. Even the Whig Morning Chronicle jibbed at this. Reporters were excluded from the debate on defence, 2 Aug., when Burdett replied to his critics, but Caroline Fox reckoned that he ‘defended himself very well’. He was less successful in Middlesex. Called on for an explanation at the county meeting to vote a loyal address, 3 Aug., he claimed to have been misrepresented, but his speech was badly received and when he went on to remark that the supposed prevalence of loyalty should not be taken for granted and to deplore the state of Ireland, he was shouted down. His Foxite admirers were embarrassed and disappointed by his performance. He joined in the combined attack on Addington and was reckoned a follower of Fox in the government lists of March and May 1804, but he privately had little faith in the will or ability of the Foxites to execute basic reforms, deeply distrusted Pitt and concluded that his ‘wisest way’ was to ‘remain quiet’ while other men performed futile political manoeuvres.8 He opposed the additional force bill in June 1804 and attacked the civil list debt, 2 July. Without being a party man ... I have on all occasions ... given that interest my unbiassed and active support ... because I believe the Whig principles are those which must save the country. I am of opinion that the creed professed by those who support that interest, is a creed calculated for freemen; but if ... the Whig interest deserted its principles, or if the Tory interest abandoned their errors ... you would find me as ardent in the ranks of their forces as I have hitherto been in those of the Whigs. I am not for a king of shreds and patches ... but, for the efficient magistrate, the constitutional King of England,—the abuse of his prerogatives, by ministers, being checked, controlled, and guarded against by a fair representation of the people in Parliament. This is not a moment when anything can be done beneficially for the public. The madness must subside, the evil designs of cheats and imposters must be made, by time, more apparent first ... to stand at such a moment free and uncommitted [is] a great advantage. Holland feared that Burdett would exploit the chaotic state of the Whigs at the opening of the 1816 session, but in the event he did no more than vote in the minority of 23 on the address, 1 Feb. In accordance with an earlier promise to Brougham, he was very active in the campaign against the renewal of the property tax, explaining to the Westminster meeting, 23 Feb., that his recent absences from the House stemmed from his conviction that its proceedings were an empty farce.24 In presenting a series of petitions he again appealed to the country gentlemen and coupled the taxation problem with the trend to military rule symbolized in the large peace establishment, on which grounds he opposed the army estimates, 28 Feb. He voted against the tax, 18 Mar., supported the Whigs’ campaign for economical reform, took their line on Bank restriction and opposed the aliens bill, 28 May. The only supporter of Cochrane’s attempt to bring charges against Lord Ellenborough for the conduct of his trial, 30 Apr., he presented reform petitions, 8, 11, 30 Apr., 8 May, and seconded Brougham’s motion for a bill to secure the liberty of the press, 8 May. Burdett did play his part in the bombardment of the House with reform petitions, which he brought to a farcical climax on 12 Mar. 1817, when only 13 of 600 petitions he tendered were deemed acceptable and he forced a division on the Speaker’s ruling, securing 6 votes against 58. At the same time, he sought to clarify his current attitude to reform. On 17 Feb. he expressed a desire for as much as would free the House from control of the executive; said that universal suffrage ‘could not be considered as tenable’; and, arguing that ‘such a reform as would protect property, and protect the bulk of the community from oppression, would satisfy all who had rational views on the subject’, deplored damaging squabbles among the advocates of different schemes. He spoke in the same vein at the second Freemasons’ Tavern meeting arranged by Robert Waithman* and a body of moderate metropolitan reformers, 22 Feb., when he announced his determination ‘to be all things to all men who agreed in the principle’. In the repressive legislation of that month, which he vehemently opposed, he claimed to detect an official plot to promote alarm, in order to stifle demands for redress of genuine grievances by misrepresenting ‘the efforts of a few wild enthusiasts’, notably the Spenceans, as symptomatic of the spirit of the country. At the prompting of Brougham, he made a violent speech against Canning’s appointment to the Lisbon embassy, 6 May 1817, the effect of which was to alienate support for the attack and allow Canning to fudge the issue in his reply.26 His motion of 20 May for inquiry into the state of the representation made little impact. He declined to advocate specific remedies and merely pointed out the basic evil of a House of Commons dominated by a corrupt oligarchy, supporting his case with his familiar constitutional and historical apparatus. Though the motion was seconded by Brand and supported by Tierney, Romilly and Brougham, it was defeated far more heavily than Brand’s had been in 1812. Burdett concluded the session with very active opposition to the renewed suspension of habeas corpus, the spy system and the apparent threat of military rule. On most of the other major issues of the session he was under no such restraint and he attacked the suspension of habeas corpus, the spy system and the indemnity bill with his usual passion. He accepted the proposal to renew investigation of the Poor Laws, 4 Feb., but as he believed that heavy taxation rather than idleness lay at the root of distress, he anticipated no good from the inquiry without massive economies in government expenditure. 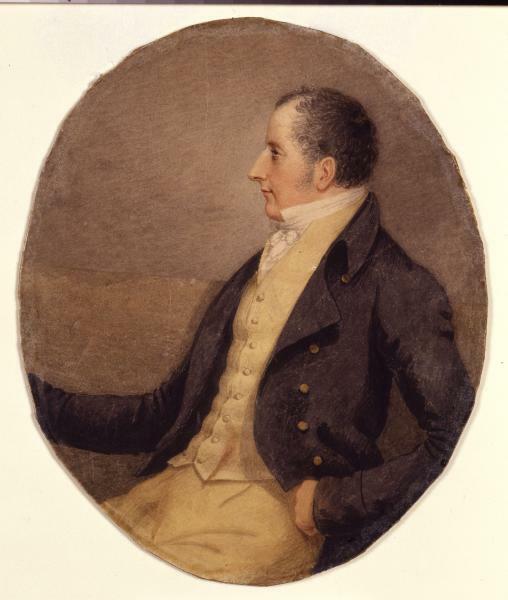 He voted for economical reform at the Admiralty, 16 Mar., applauded Peel’s factory hours bill, 6 Apr., voted for Tierney’s motion on the resumption of cash payments, 1 May, participated in attacks on the aliens bill later in the month and supported Brougham’s call for inquiry into the education of the poor, 3 June 1818.
how fortunate I am to please the Whigs too!!! In moderation placing all my glory Tories call me Whig and Whigs a Tory!! sweet and silvery as Belial himself, and I think the greatest favourite in Pandemonium; at least I always heard the country gentlemen and the ministerial devilry praise his speeches upstairs, and run down from Bellamy’s when he was upon his legs. 1. Jnl. of William Bagshaw Stevens, 20, 53, 66, 75, 80, 87, 107, 146, 168-70, 209-11, 274-6, 279-82, 284, 289, 315, 341, 345, 350; Patterson, i. 4-38. 2. Patterson, i. 38-39; Stevens Jnl. 374, 377, 393, 395-9, 405, 410-12, 414-15, 417. 3. J. Ann Hone, For the Cause of Truth, 23-24. 4. Farington, i. 232; Stevens Jnl. 450, 455, 457-8, 460, 463; Geo. III Corresp. iii. 1691, 1701; Windham Diary, 390; Jnl. of Lady Holland, i. 251; Dinwiddy, 31; Hone, 24, 54-55, 113. 5. See Patterson, i. 67-77; and Hone, 121-3. 6. Grey mss, Tierney to Grey, 19 Dec. 1801. 7. See Patterson, i. 132-44; Hone, 128-36; and MIDDLESEX. 8. Patterson, i. 154-69; Morning Chron. 8 Oct., 18 Nov. 1802, 29, 30 July; The Times, 10 Mar., 30 July, 1, 4 Aug.; Grey mss, Ld. R. Spencer to Grey [4 Aug.]; Add. 51736, Caroline Fox to Holland, 15 Aug. 1803. 9. Morning Chron. 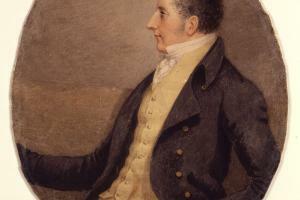 9 Aug. 1804; H. Hunt, Mems. ii. 139-41; Creevey Pprs. ed. Maxwell, i. 3-4; Add. 37906, f. 176; Windham Pprs. ii. 234; L. Melville, Cobbett, i. 225-7; Pol. Reg. 10, 17, 24, 31 July, 1, 15, 22 Sept. 1804, 9 Mar. 1805; Leveson Gower, ii. 35-36; Farington, iii. 163. 10. Independent Whig, 9, 16, 23 Feb.; The Times, 30 July 1806; Patterson, i. 182-91; Hone, 154-6; Whitbread mss W1/897, 1959, 1962, 1964, 1966; Hist. Westminster and Mdx. Elections of 1806 (1807), 9, 24, 309, 333, 361-3, 390, 394-6, 430-2, 439-43; Pol. Reg. 8 Nov. 1806, 14 Feb. 1807; Wakes Mus. Selborne, Holt White mss, Paull to White, 17 Dec. 1806, White to Burdett, 17 Jan. 1807. 11. Pol. Reg. 14 Feb.; Hants RO, Wickham mss, Taylor to Wickham, 8 Feb. 1807; Patterson, i. 194-215; Hone, 159-61; NLI, Richmond mss 70/1320; Leveson Gower, ii. 250; Farington, iv. 140; Hunt, ii. 274; see WESTMINSTER. 12. Horner mss 3, f. 234; Add. 51549, Lady Holland to Grey [14 Apr.] 1808. 13. Grey mss, Ponsonby to Grey, 21 May, Tierney to same, 24 May, 8 June, 12 July; Pol. Reg. 28 May; Independent Whig, 29 May 1808; Cartwright Corresp. i. 355-6; Whitbread mss W1/4200; Add. 27838, ff. 325-32; 41852, f. 356. 14. Grey mss, Tierney to Grey, 19 Jan., 1 Feb. 1809; Buckingham, Court and Cabinets, iv. 300; Prince of Wales Corresp. vi. 2545; Geo. III Corresp, v. 3827; Procs. Westminster Electors, 29 Mar. 1809, pp. 10-25; Spencer mss, Grenville to Spencer, 30 Mar., 1, 5 Apr. 1809; Add. 41854, ff. 243, 245; Berks. RO, Pleydell Bouverie mss 025/64, 68, 69; HMC Fortescue, ix. 289. 15. Geo. III Corresp. v. 3857, 3890, 3904; Procs. Crown and Anchor, 1 May 1809, pp. 5-17; Dundonald, Autobiog. (1860), ii. 132; Colchester, ii. 186; Grey mss, Tierney to Grey, 27 May 1809; Farington, v. 188-9; Burdett, Plan of Reform (1809), 5-21; Pol. Reg. 24 June; Hants RO, Tierney mss 72d; Holt White mss, Cartwright to White, 24 June 1809; Cartwright Corresp. i. 390. 16. Geo. III Corresp. v. 4074; Patterson, i. 240-94; Add. 48228, f. 69. 17. Lonsdale mss, Ward to Lonsdale, 7 Apr., Long to same, 12 Apr. 1810; HMC Hastings, iii. 279; Harewood mss, Canning to his wife, 10, 11 Apr. 1810; Brougham mss 36660; Sheridan Letters ed. Price, iii. 75; Bath Archives, i. 107; Waldegrave mss, Grenville to Whitbread, 23 Apr., 1 May, Bedford to same [8 May] 1810; Creevey’s Life and Times, 47. 18. Hunt, ii. 420-6; Add. 27850, ff. 87, 228, 239-41; Dinwiddy, 20-23; Hone, 191-4; Burdett, Speech at Crown and Anchor, 31 July 1810. 19. Dinwiddy, 27; Prince of Wales Corresp. vii. 2761; Add. 52178, Brougham to J. Allen, 21 June 1811; Cartwright Corresp. ii. 1-2, 5-6; Morning Chron. 11 June 1811; Adultery and Patriotism (1811); Mrs Jordan and her Fam. 194-5; HMC Fortescue, x. 158, 181. 20. Horner mss 5, f. 162; Harewood mss, Canning to his wife, 22 Feb.; Malmesbury mss, Palmerston to Malmesbury, 14 Mar. 1812; Richmond mss 68/1080; Buckingham, Regency, i. 285; HMC Fortescue, x. 242, 254; Crabb Robinson Diary ed. Sadler, i. 384; Colchester, ii. 400. 21. Grey mss, Tierney to Grey, Wed. [Jan.], 11 Feb. 1813; HMC Fortescue, x. 331, 333; Letters of Princess Charlotte, 56, 60; Fortescue mss, Fremantle to Grenville, 26 Feb. 1813; Bath Archives, ii. 17; Pol. Reg. 24 Apr. 1813; CJ, lxviii, 516. 22. T. D. Hardy, Mems. Ld. Langdale, i. 288-9; Creevey Pprs. i. 202-4; Grey mss, Piggott to Grey, 19 July ; Brougham mss 35902. 23. Pol. Reg. 31 Dec. 1814; Cartwright Corresp. ii. 97-98; Hunt, iii. 235; Heron, Notes (1851), 50; Romilly, Mems. iii. 192; Hampden Club Circular (1815). 24. Grey mss, Holland to Grey [1 Feb.]; Add. 35152, f. 166; Pol. Reg. 2 Mar. 1816. 25. Hampden Club Procs. 15 June 1816, pp. 28-33; Pol. Reg. 10, 17 Aug., 21, 28 Sept., 5, 12, 19 Oct. 1816; Hunt, ii. 75-78; iii. 354-5, 423-4; Patterson, ii. 412-20; Bamford, Passages in Life of a Radical ed. Dunckley, ii. 24. 26. HMC Fortescue, x. 422; Morning Chron. 24 Feb.; Carlisle mss, Abercromby to Morpeth [c.7 May 1817]; Heron, 83-84. 27. Pol. Reg. 2 Aug., 6, 13 Sept., 11 Oct., 20 Dec. 1817, 17, 24 Jan. 1818. See W. Thomas, The Philosophic Radicals, 57-62. 28. Hardy, i. 329; Bentham Works ed. Bowring, x. 491-5; Brougham mss J23; Thomas, 41-44, 59-60; Dinwiddy, 24, 26. 29. See WESTMINSTER: Add. 36457, ff. 73, 88; 51686, Lansdowne to Holland, 6 July; Grey mss, Grey to Sir R. T. Wilson, 29 July 1818; Dinwiddy, 24; Moore Mems. ed. Russell, ii. 157-8. 30. See WESTMINSTER; Add. 47222, ff. 3, 5, 7; 51569. Burdett to Holland, 26, 29 Dec. 1818; 56540, Hobhouse diary, 16, 24 Jan., 27 Feb., 23 Mar. 1819; Speech to Liverpool Concentric Soc. 4 Dec. 1818; Authentic Narrative of Westminster Election (1819), 109-13, 149-53, 165, 186-8, 196-8, 226-9, 265-71, 333-7; Grey mss, Grey to Wilson, 19 Feb., 3 Mar., Lambton to Grey, 9 Mar. 1819. 31. CJ, lxxiv. 284, 330; Authentic Narrative, 361-7; Add. 56540, Hobhouse diary, 19, 22 May, 22, 30 June, 2, 12, 13 July 1819. 32. Patterson, ii. 490-1; Brougham mss 78, 10164, 48093; Cartwright Corresp. ii. 170; Statesman, 3 Sept.; Grey mss, Rosslyn to Grey, 25 Aug., Tierney to same, 6, 25 Sept.; Add. 27837, f. 185; 51584, Tierney to Holland, 14 Sept.; 56540, Hobhouse diary, 31 Aug., 2 Sept., 28 Oct. 1819. 33. Grey mss, Grey to Lady Grey, 25 Nov.; Add. 36457, f. 378; 56540, Hobhouse diary, 26 Nov., 8, 12, 13, 17, 22, 31 Dec. 1819; Heron, 110. 34. Byron: A Self-Portrait ed. Quennell, ii. 610; Norf. RO, Gurney mss RQG 334, Aberdeen to Gurney, 21 Oct. 1812; Moore Mems. ii. 158. 35. Lady Holland to her Son, 213.